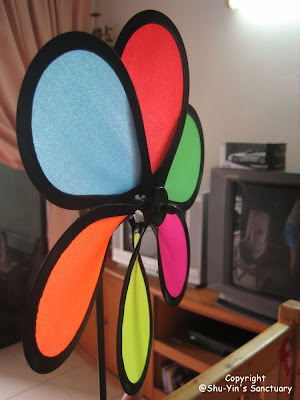 Shern's pho-pho bought him a colourful flower fan from Toys 'R' Us for RM5.90. 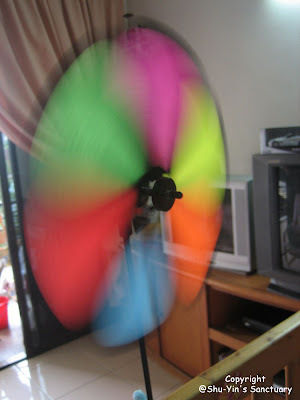 Shern absolutely loves it - seeing it spin round and round and round. Shern's fascinated by it! Definitely worth the money! basically they are fascinated with anything. wait till he meets Uncle Andrew. 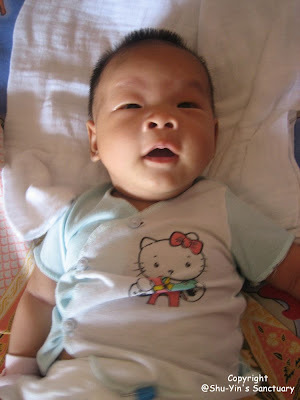 ndru...hello kitty is a 'pass-me-down' baju. shern is waiting for his man utd jersey from uncle ndru!